Stunning, bright and sunny 2 Bedroom/2 Bath condo in a prime Lakeview location. Sunlight floods the spacious living room, highlighting the tall ceilings, crown molding, fireplace and overall grand feel of the space. An updated kitchen features stainless steel appliances, granite counters and glass tile backsplash. The master bedroom boasts custom closet shelving and a spa-like en suite bathroom with double sinks and a whirlpool tub. The prime feature of this home is the large private roof top deck offering 360 degree forever views. There is an additional balcony, in-Unit Washer & Dryer, additional storage, and a parking space is included. 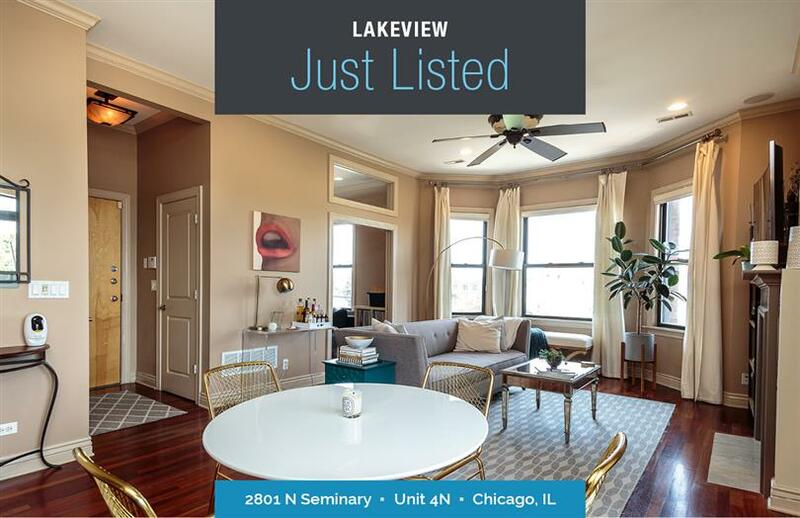 This wonderful home is steps to transport links including Lake shore Drive, I90/94, buses and the "L", and is wonderfully located for shopping, snacking, dinning, fitness and entertainment options. Wonderful location, great views, and a charming residence. This one has it all!